After a recent storm, this homeowner discovered stormwater had entered his home through his crawl space. Thankfully, he called SERVPRO of Pickens County immediately. We were able to mitigate the existing damage and prevent any secondary damage from happening. Unfortunately, due to the contaminated water areas of the carpet, the carpet padding and parts of the baseboard had to be removed. Then, drying equipment was set up to ensure there would be no mold growth. The customer was thrilled with our fast response and drying time. 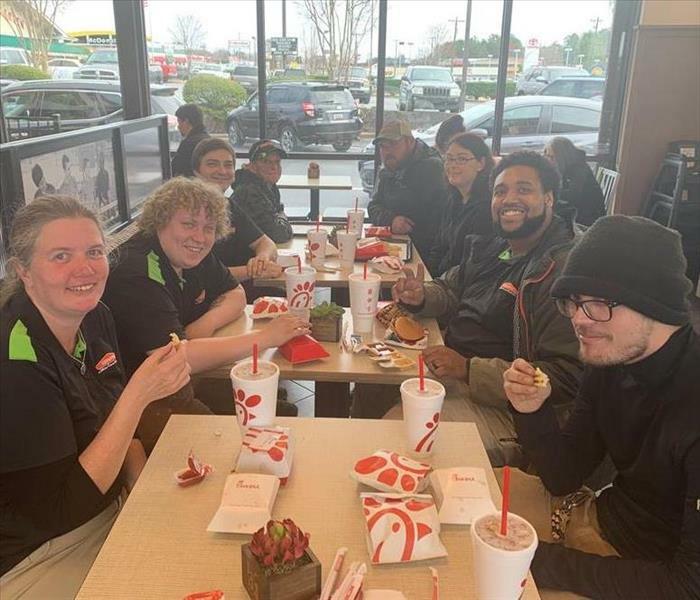 SERVPRO of Pickens County crew members take a break from working hard to eat at a local fast food restaurant. We appreciate all the hard work our technicians and crew chiefs put in at every job site. They work around the clock to make every job site "Like it never even happened." We got a call from this homeowner about a leaking dishwasher. Unfortunately, the damage didn't just stop at the kitchen the whole house was affected. 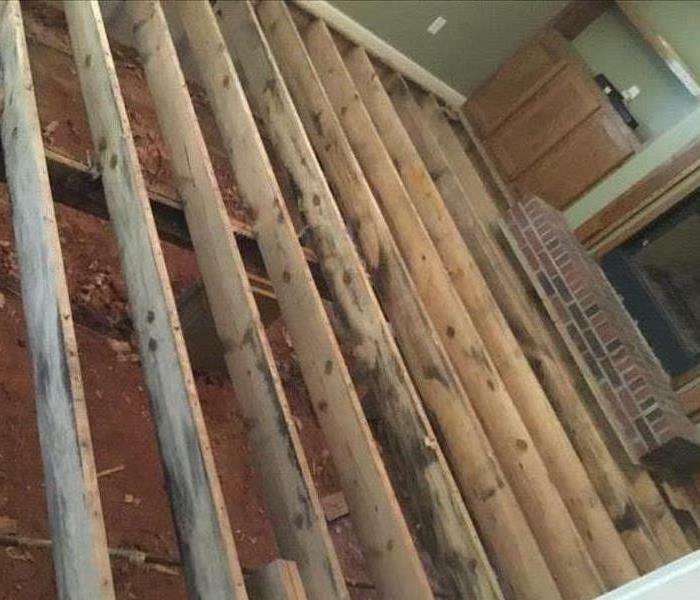 SERVPRO of Pickens County discovered the leaked had gotten under the hardwood floors in the dining room, living room, and hallway. These floors showed cupping and elevated moisture readings. The flooring was removed and the subfloor was dried with a dehumidifier. When water affects your home dont wait! Call SERVPRO of Pickens County 864-855-3993. 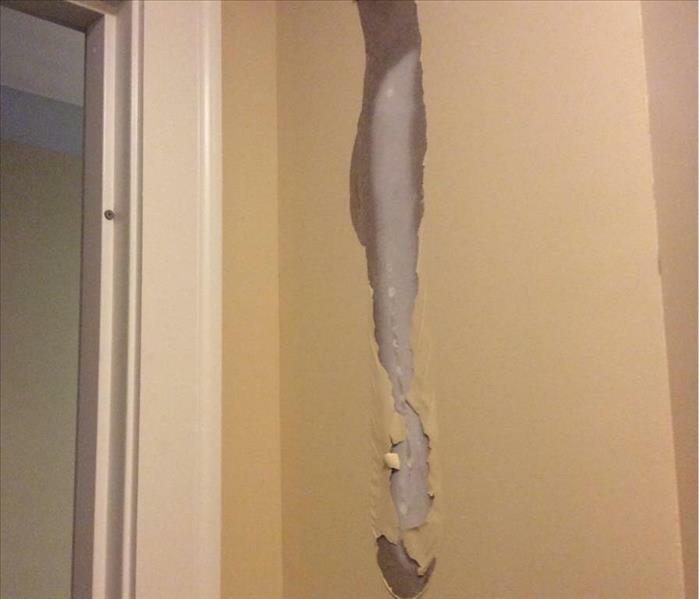 This homeowner found standing water throughout her home after she discovered her water heater had malfunctioned. She immediately called SERVPRO of Pickens County for help. We arrived on the scene and began the extraction and drying out processes. Our certified crew members were able to prevent any mold growth or secondary damage to the home by using top of the line equipment. Nine days later, the affected areas were dry and ready for the restoration process. 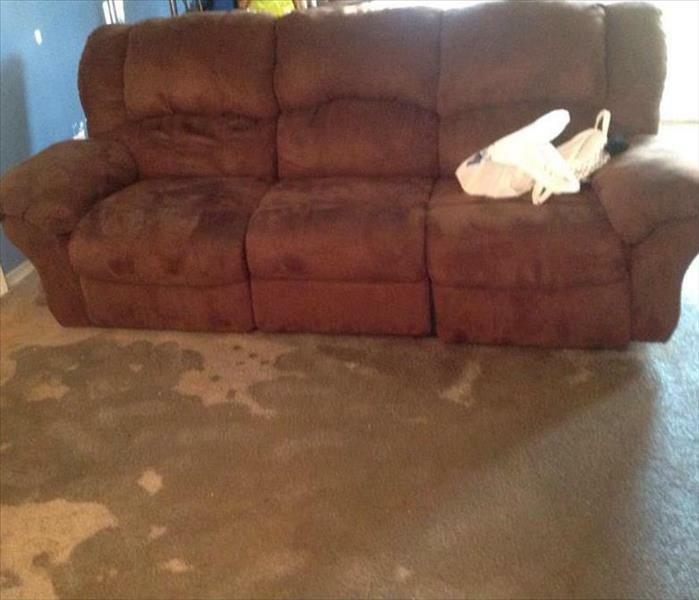 When you find standing water in your home - call SERVPRO of Pickens County 864-855-3993. Fire damage can be an extensive and brutal task to conquer. However, SERVPRO of Pickens County has the experienced personnel and cutting edge technology to mitigate and restore any property that has experienced a fire. Once the fire was put out, SERVPRO of Pickens County was called to make it "Like it never even happened." 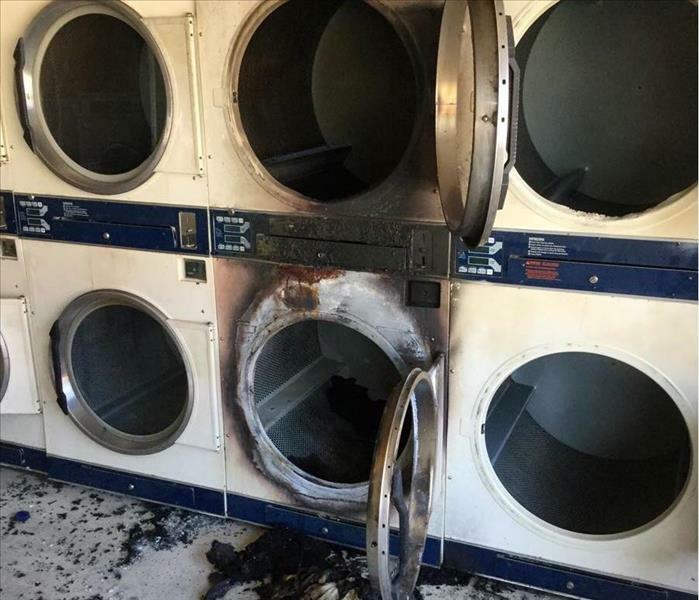 Our highly trained crew members removed the odor from the fire, smoke, soot webs, and soot. The owner of the laundromat was thrilled with our prompt service and attention to detail. Once the heroic first responders have completed their efforts, let SERVPRO of Pickens County help you pick up the pieces. Call us today 864-855-3993! 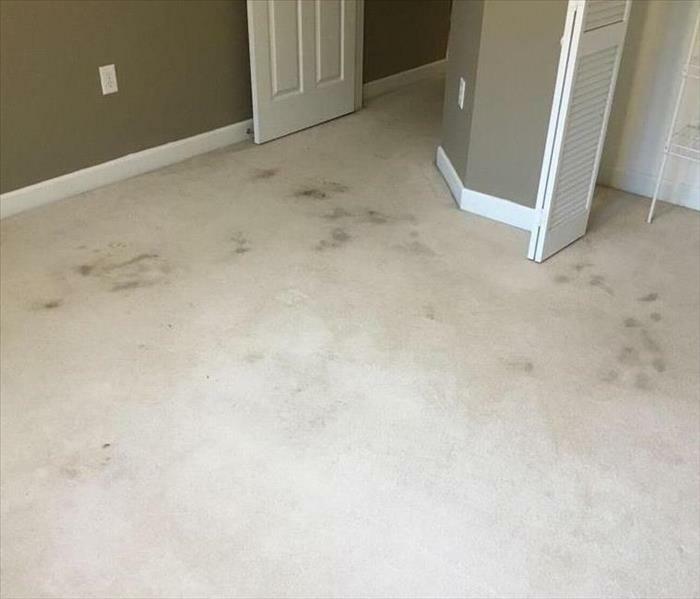 Stained Carpet? We will make it "Like it never even happened." This customer had wine and heavy foot traffic stains in their carpet. He was concerned the stains were too set in to be removed. SERVPRO of Pickens Country responded and got the job done. The customer was ecstatic with our work and response time. We made this disaster "Like it never even happened." Busted Water Heater? SERVPRO of Pickens County can handle it! When SERVPRO of Pickens County received this call on the Friday after Thanksgiving, we responded immediately. The water heater in this church had burst and water was running down the walls and soaking the carpets. The water had left behind some serious damage but nothing that SERVPRO of Pickens County couldn't handle. We were able to dry out the areas quickly and give our customer daily updates. They were overjoyed with our work and fast response! SERVPRO of Pickens County is ready to respond to your disaster 24 hours a day, 7 days a week, 365 days a year. We pride ourselves on our rapid response time to any fire, water, storm, or mold emergency. When disaster strikes our number one priority is restoring your home or business "Like it never even happened". All of our specialized technicians are certified by The Institute of Inspection Cleaning and Restoration Certification (IICRC). These certifications not only give our technicians the knowledge needed to perform these complex jobs but also allow us to continually stay up to date on the best practices in water restoration, fire restoration, mold remediation, carpet and upholstery cleaning, and other cleaning and restoration courses. When disaster strikes-call SERVPRO of Pickens County at 864-855-3993. SERVPRO of Pickens County is always ready for whatever happens. During this large commercial loss, The Disaster Recovery Team and SERVPRO of Pickens County performed the cleanup, mitigation, and restoration. SERVPRO of Pickens County spent time volunteering at The Arts Center of Clemson for National Day of Service and Remembrance. We enjoyed landscaping the areas outside the arts center. Thank you to The Arts Center of Clemson and the Clemson Rotary for giving SERVPRO of Pickens County the opportunity to volunteer. 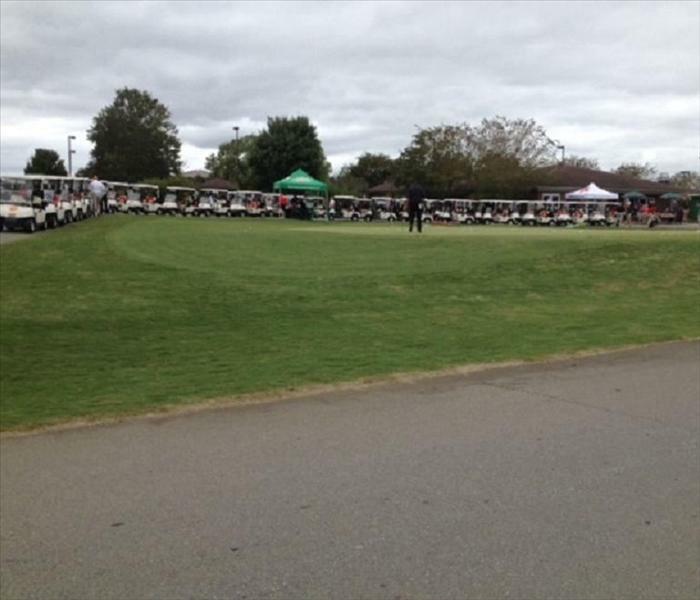 SERVPRO of Pickens County enjoyed the shotgun start at Clemson's Walker Course. This tournament raised over $12,000 for the Red Cross thanks to all the teams and sponsors! 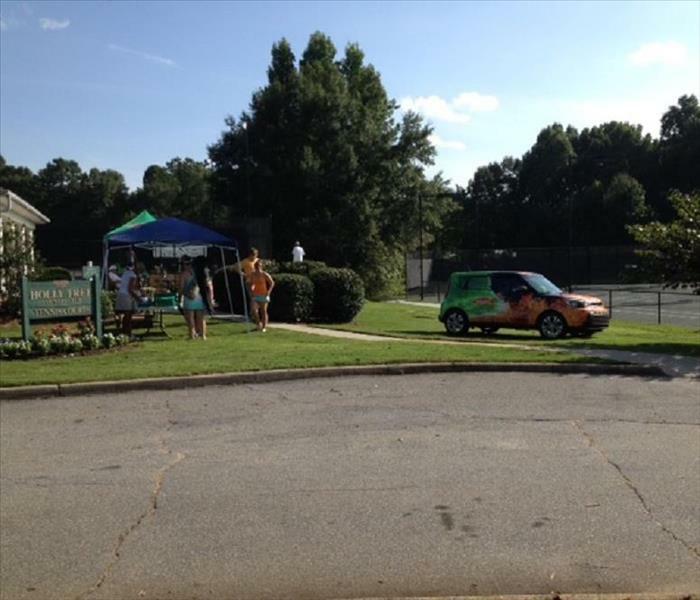 SERVPRO of Pickens County visited Hollytree Country Club in Simpsonville, South Carolina. The sunny weather created the perfect day to enjoy tennis. Our team enjoyed cheering on all the players.